Looking for something fun to do with/in your gluten-free community? Places to travel in a safe, gluten-free way? Summer camp for your celiac child? Walk/runs to help build awareness (and money)? Food Fairs where you can discover new products? We have an extensive Gluten-free Events Calendar that brings information about all the communities’ activities into one place. The events listed in the perpetual calendar below are in chronological order. If you’re interested in past events, or are looking for events sponsored by a specific organization or company, please refer to the left sidebar. Looking for something specific? Know of an event we’ve missed? We could use your help … it’s impossible to know everything that’s going on! If you know of an event pertaining to the gluten-free community, please email us at info@DailyForage.com. We’ll be happy to review it for inclusion. Since new events are always taking place, this calendar will be updated regularly. Thanks for your interest and support. Please keep me posted with all Gluten Free Events. Will do, Lucia! Thanks for your interest! Hi Laura, I’m sorry I missed posting the October expo, but I’m happy to make sure the December expo is on the calendar. Thanks so much for sharing this great online opportunity for the gluten-free community! 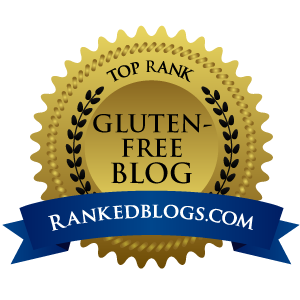 Thanks so much for sharing this great online opportunity for the gluten-free community!